The rise in business rates has hit London particularly hard, and it isn’t difficult to understand why. Business rates were last set in 2010, and the basis for these rates was the rent levels in 2008. The rates change in 2017 are based on rents in 2015. Rents have risen dramatically in the intervening seven-year period – in London. The rise in other parts of the country has been nowhere near as high, and some areas have seen no rise at all. Well, you may say, that’s just dandy: we already pay rents that have risen far faster than businesses in other parts of the country have experienced, and that’s the very reason why we are now expected to pay rates that are so much more than businesses elsewhere are saddled with. It isn’t as simple as that, because even where rents have not risen, there have been increases in rates. Nevertheless, the impact on the average Brixton business is enough to make your eyes water. Overall, industrial premises may be looking at rises of only 4%, with office buildings attracting a 10% rise, and retail and some other businesses looking at 14%. But these are average figures, and businesses facing rates rises of 38%, 50% and 100% are wondering how on earth they are to generate the extra cash flow to meet the increase. Brixton is among the worst hit areas. The knowledge that the West End is also being hammered, and that Selfridges now faces a rates bill of more than £15 million, is of little comfort to small Brixton businesses that can only dream of a £15 million turnover, let alone a rates bill that size. There is transitional relief available, and a discretionary fund that will allow London councils to help those hardest hit, but this will not go far enough to stave off disaster for the worst affected. 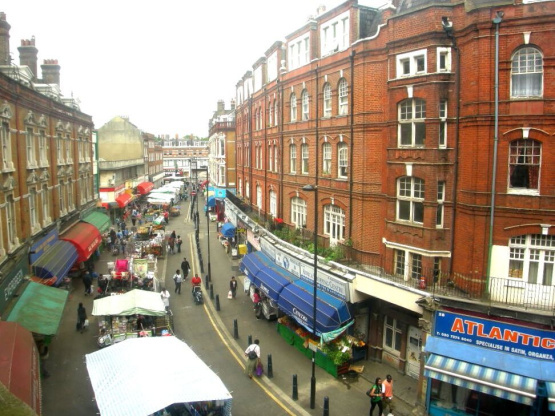 What options do Brixton businesses have? Well, we’re going to see some price increases, because money to pay the rates has to come from somewhere. Sadly, we’ll probably also see some entrepreneurs giving up the ghost and either moving out of London or retiring altogether. Larger companies will move in to take their place, and we’ll see more uniformity on the high street. Is it all doom and gloom? It’s never all gloom. The entrepreneurial spirit will continue, and small businesses will go on delivering what people most want. But what businesses large and small need to do is band together to tell the government that this is no longer an effective and appropriate way to finance local government spending. Otherwise, we’re going to see another rise of similar proportions a few years from now. And there has to come a point when all the pips have gone and there’s no point in squeezing any more. On the bright side, Brixton remains a remarkably good place in which to live and invest, and it continues to attract young professionals who are building a great life here. If you want to join them, get in touch. Eden Harper knows where the opportunities are. Whatever it is you’re looking for, we’ll help you find it.